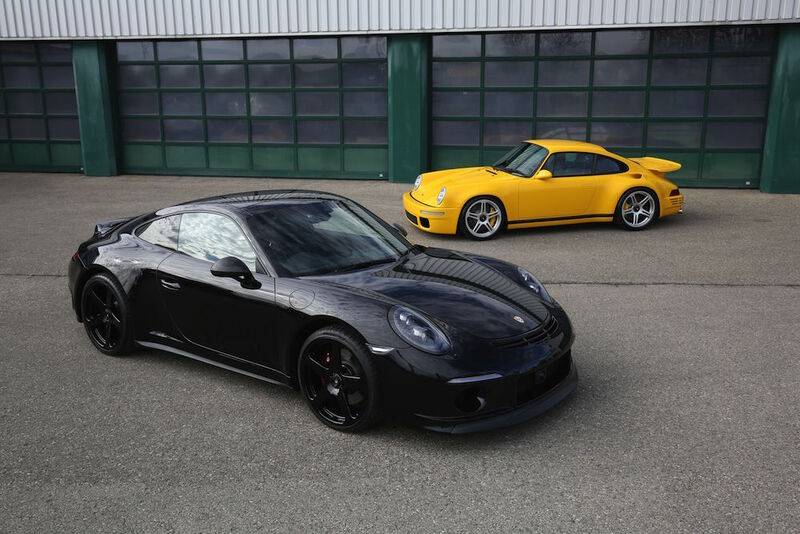 RUF Automobile GmbH, manufacturer and creator of bespoke sports cars that combine performance and suitability for everyday use, unveiled 2 cars at the 89th Geneva Auto Show at the Palexpo in Geneva, Switzerland. The first production example of the RUF CTR Anniversary is displayed alongside the all-new RUF GT. The unveiling at the Geneva International Motor Show, kicks off the company’s 80th anniversary. The first production example of the RUF CTR Anniversary is being delivered to its owner during a press conference at the Geneva International Motor Show. The model was first announced at the 2017 Geneva Motor Show on the 30th anniversary of the original RUF CTR and produces 710 PS (700 BHP) from its twin-turbo 3.6L, flat-six engine. Weighing in at just 1,200 kilograms (2,640 pounds), the 2019 RUF CTR Anniversary has a top speed of 360 km/h (223 mph). This particular example is finished in the iconic yellow color scheme of the original CTR and features unique touches like matching yellow seat belts, new wheels compared to the prototype, and a new “whale tale” design with a slimmer profile. The all-new RUF GT is a Porsche 991.2 GTS-based model acting as an extension of the previous generation of the Porsche 911. The RUF GT features a 3.0 liter flat-six engine producing 515 HP, 645 Nm of torque and has a total weight of 1450 kg (3,200 lbs). The launch-control equipped 7-speed double clutch gearbox helps the car accelerate from 0 to 62 mph in just 3.4 seconds. The car is also available with a manual transmission. The RUF duck tail, rear diffuser and front splitter generate high downforce and help keep the RUF GT stable at its top speed of 320kmh (199 mph).